Important aims of clinical research include the development of study objectives, research design methodology, and outcome measures. Proper articulation of these goals will lead to the determination of the outcomes of safety, efficacy and/or effectiveness of new dental drugs, biologics, devices, or procedures to improve patient care. 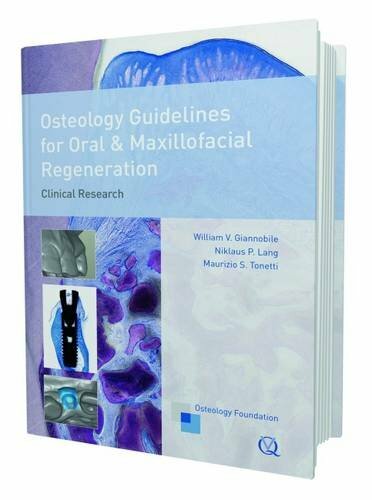 This book guides researchers in creating protocols that lead to meaningful outcomes in oral and maxillofacial tissue regeneration. This text is written by a group of eminent investigators with expertise in all facets of clinical research from methodology to clinical protocols. Covered topics include oral and maxillofacial imaging, histomorphometry, examiner calibration, good clinical practice, ridge augmentation, soft and hard tissue grafting, sinus augmentation, and periodontal regeneration protocols. This is an essential reference guide for clinical researchers engaged in research in oral tissue regeneration. If you have any questions about this product by Quintessence Pub Co, contact us by completing and submitting the form below. If you are looking for a specif part number, please include it with your message.